But he’s not to leaving the company. 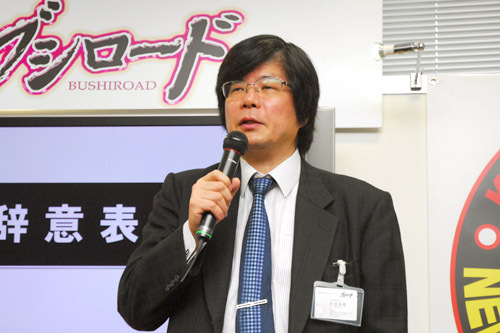 Bushiroad announced on its official website on Monday that the company’s founder and representative director Takaaki Kidani will step down from the representative director position at a stockholder’s meeting on October 20, and will take a position as board member of the company. The announcement stated that he is stepping down from the position so he can directly lead and manage the production of content better in the company’s next three or four years, which the company calls a “decisive” period. Kidani will be focused on and be directly responsible for developing the company’s intellectual property.